Woods Wines' list of French wines - "Wines made by hand, not manufactured." To find out where our wines are available for retail sale, or for wholesale inquiries, Woods Wines can be contacted via email at info@woodswines.com.au, on our office phone at +61 (0)3 9329 1908, or by any of the methods on our contact page. Located in Vertus, in the prestigious Côte des Blancs south of Riems, Champagne Napoléon was only created as a separate brand in 1907, but the parent company - C. & A. Prieur – has been a Champagne producer since 1825. Napoléon is a relatively small house which, in 2005 became part of a group of growers dedicated to both quality of fruit and careful winemaking. Head winemaker Jean Philippe Moulin was appointed in 2007, having previously been Head Winemaker and Cellar Master for Champagne Ruinart. Earlier, he alternated operational and advisory roles in the Champagne region working for such houses as Mumm and Perrier-Jouet, so he has serious pedigree to go with Napoléon’s own! All Champagne Napoléon wines contain 40% to 50% reserve wines to preserve and sustain the Napoléon house style. 750ml bottles only - 45% Chardonnay, 30% Pinot Noir, 25% Pinot Meunier. Minimum 3yrs aging pre-disgorgement. 750ml bottles only - 100% Chardonnay. 4yrs aging pre-disgorgement. 750ml bottles available in 6-pack either plain or individually gift boxed. After his father’s death, Sacha Alexis Lichine sold the family’s fourth-growth Bordeaux property, Prieuré-Lichine (previously known as Prieuré-Cantenac) in 1999. He spent several years in the Côtes de Provence, before settling on a property of some 267 hectares near the town of La Motte, graced with some 44 hectares under old, well-established vines (many up to 80 years of age). Sacha’s intent was never to make just another Provençal rosé. His objective was to produce the very best and most respected rosé in the world – a wine comparable in style and finesse to the great burgundies, but blessed with the freshness and vibrancy of Provence. He enlisted one of the great winemakers of our age, Patrick Léon, whose achievements include 23 yrs as head winemaker for the Mouton Rothschild group, making Opus One in California and the creation of Almaviva in Chile. Success? The world’s wine media think so. The Whispering Angel is a younger fresher style, while the higher cuvees are richer, fuller and boundless in depth. Do not take them lightly! Grenache, Rolle, Cinsault, Syrah, Mourvèdre. No barrel fermentation at all for maximum freshness & fruit flavour. Crisp, dry-finishing and extraordinarily refreshing. Grenache (27% 80 years old) and Rolle. Regular bâtonnage. Partly vinified in 500 and 600 liter barrels (old oak). Somewhat more serious than the Angel, but clearly a relative. Les Clans is made from Grenache (48% 80 years old) and Rolle. Hand selected grapes. Vinification exclusively in 500 liters barrels (new and old oak) for 6 months with burgundian style (frequent) bâtonnage. One of the world's great rosés - similar to a premier cru burgundy, except for the colour! The Garrus is 80 years old Grenache and Rolle. The best of the best. Hand selected grapes from the best plots. Vinification exclusively in new 500 liters oak barrels for 8 months with burgundian style (frequent) bâtonnage. The grand daddy. Designed, gown and made to be the greatest rosé in the world, a revolution that forced connoisseurs to recognise that pink wines can be as complex and intriguing as any red or white. Internationally renowned wine writer Jancis Robinson famously referred to Chateau D'Esclans Rosé as "the greatest rosé in the world." ​By the creators of the world’s most renowned rosé - Whispering Angel - a new and exciting rosé from AOC Coteaux de Aix en Provence and Château D’Esclans. Patrick spent 23 years making Château Mouton-Rothschild, as well as Château Clerc-Milon and Château d’Armailhac, not to mention Opus One and Almaviva, which he planted personally. Now he has his own family château on land in Fronsac which he believes will be the next big thing in Bordeaux. 85% Merlot & 15% Cabernet Franc, these wines are exciting and rewarding on the palate and tuned for further aging. Domaine Sainte Foy, situated in the heart of the “Terres de Rosé” at Lorgues in Provence, is a family residence comprising 12 hectares of prime vineyards. The vines are tended by the world famous Sacha Lichine and the resulting rosé is of the highest quality. The blend comprises 36% each of Grenache and Cinsault, 23% Syrah and 9% each of Cabernet and Rolle (Vermentino). Domaine Sainte Foy, which dates back to the 19th century, was acquired in 2000 by international businessman Mark Schneider. Mark’s long-term friend Sacha Lichine has been making top quality rosé for Sainte Foy since 2014. The bulk of the fruit produced goes into Château D’Esclans’ own premium Rock Angel with the exception of 6000 bottles which are produced under the Ste. Foy name. 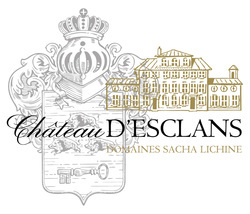 The grapes are brought to Château D’Esclans and vinified there with the same care and detail that goes into Château D’Esclans own wines. After 4 generations of the Max family, and 154 years in Burgundy, Maison Louis Max (managed by Philippe Bardet since 2007) has a rich heritage, a deep understanding and knowledge of its land; and the wine-making skills necessary to ensure each each Cru is treated with respect for its history and tradition. Louis Max owns over 25 hectares of vines in Burgundy in five vineyards: Mercurey les clos la Marche, Mercurey Premier Cru les Vasees, Mercurey Blanc les Rochelles, Mercurey Blanc les Caudroyes and Rully les Plantenays. But Louis Max also has long term partnerships involving over 50 hectares of vines in the Côte de Nuits and the Côte de Beaune. The harvest is always 100% manual with harvest dates determined parcel by parcel and all their domaine vineyards are Organically Certified. The "Climats" range has recently been added to the Domaine, bringing carefully selected wines from outside of Bourgogne, notably from the Pays d'Oc. Pierre André’s reputation can be explained by the respect the Maison has for the terroir, one of the founding values of Pierre André which practices an integrated viticulture on the prestigious and ancestral soils of Corton and the Côte de Beaune. Day after day, the rigorous and meticulous work of talented winemakers reinforces the nobility of these exceptional soils to give wines full of subtle flavors and finesse. Faithful to the expression of the terroir and the Burgundian grape varieties, the wines of Pierre André delight the most discerning palate with their elegance and beautiful aromatic complexity. A true expression of Burgundy in its splendor and diversity, Pierre André celebrates the harmony of man and nature in each of its wines, vintage after vintage. In late 2012 William bought Château Constantin, located just north of Aix-en-Provence, near the quaint picturesque village of Lourmarin, which is best described in Peter Mayle’s ‘A Year In Provence’. At Château Constantin the wine making starts in the vineyards, which extend over 40 hectares, and are covered in beautiful ‘vieille vignes’, or ‘old vines’. Planted during the 1960’s, the domaine has been producing exquisite wines from unique terroirs and an exceptional climate. These low-yielding vines produce wines of exceptional quality, aided by the sunny climate and the cooling influence of the famous Mistral wind. Employing a similar ethos to producing his famous spirits in the UK, William insists on the very best production techniques, to guarantee that what is inside the bottle is truly very special. Recognizing the importance of innovation in an increasingly varied wine industry around the world, Sacha Lichine (Caves D’Esclans) developed a line of new world wines from France, ‘Sacha Lichine – Vins Sans Frontières’ which today consists of a selection of growers and wines crafted through out the regions of France. Head winemaker for all these wines is the remarkable Patrick Léon (see Château D’Esclans and Château les Trois Croix). Winemakers from father to son since the eighteenth century, their traditions and skills have been handed down the generations. Building on this heritage, André and Paul Dussourt have evolved both the care taken in the vineyard and the winemaking techniques. Located in the heart of the Scherwiller region of Alsace, the Dussourt vineyard enjoys exceptional natural conditions: sandy, granitic hills, alluvial plain, South and East exposures, a low rainfall and a sunny climate. In the cellar the wines are made based on these elements to create harmony between terroir and varietal. These wines are the purest expression of Alsatian traditions and innovation. The Château Pech-Latt is located in Lagrasse, in the heart of the AOC Corbiéres vineyards of the Languedoc in the south of France. The vineyard is worked organically by winemaker Philippe Mathias on rocky clay-limestone soils. His organic farming is certified by Ecocert.